Hi friends! It’s been a busy week last few weeks since my last post with wrapping up this quarter. 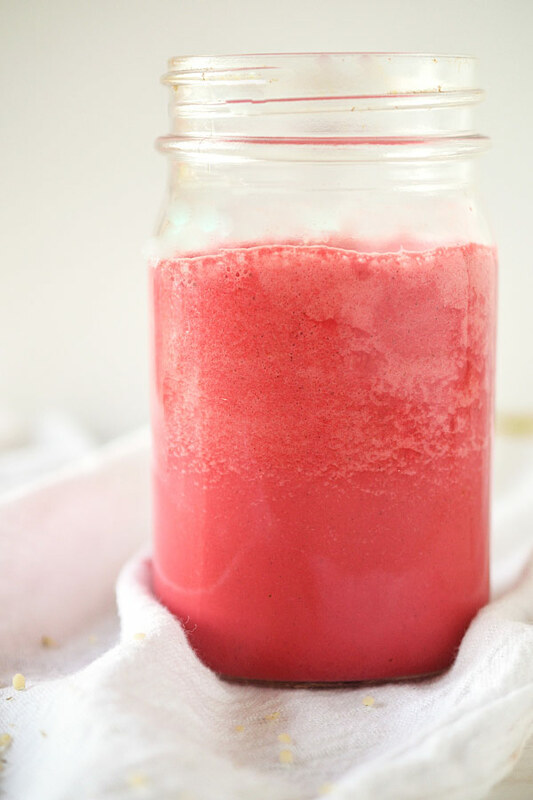 I’ve been enjoying this yummy Beet Hemp Milk lately and am excited for you to try it! Rich in nutrients – protein, fiber, antioxidants, vitamins, and minerals, plus it’s super easy and takes just minutes to blend up. I love making dairy-free milks. Most nut milks require a nut milk bag to wring out the pulp though, which not everyone has or wants to take the time to do. Hempseeds though are amazing because they are so creamy – they can go straight from the blender to the jar, no bag required. Hempseeds are also a powerhouse in terms of nutrition. Less than a quarter cup is packed with protein, healthy fats, iron, magnesium, phosphorus, and zinc, plus a little fiber! I feel like God always packs in so much goodness to the tiniest little plant seeds. 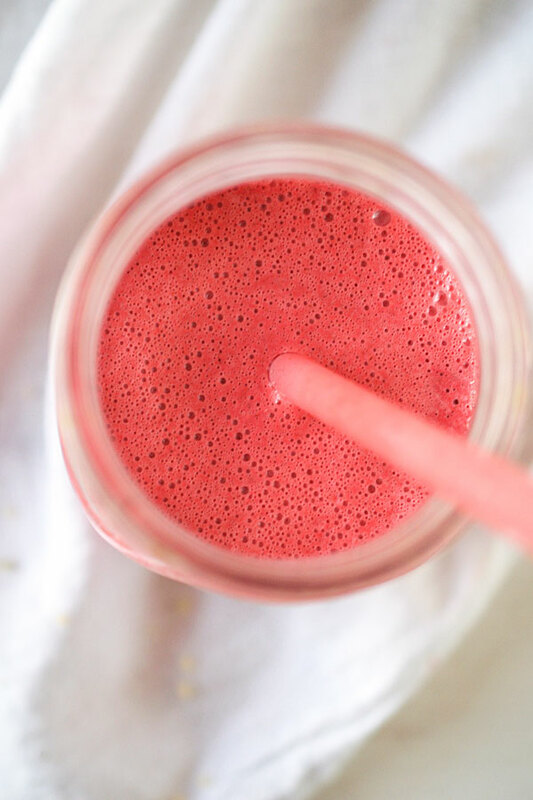 And those seeds are given an extra boost in this recipe from all of the vitamins and minerals like potassium, fiber, antioxidants, and detox properties of the beautiful purple beet! The flavor and color may be the best part though. Such a pretty pastel pink with a flavor reminiscent of that store-bought strawberry milk, but so much beyond that. A subtle sweetness and slightly earthy undertone. Enjoy this super fun, beautiful and easy twist on the much-loved nut milk! 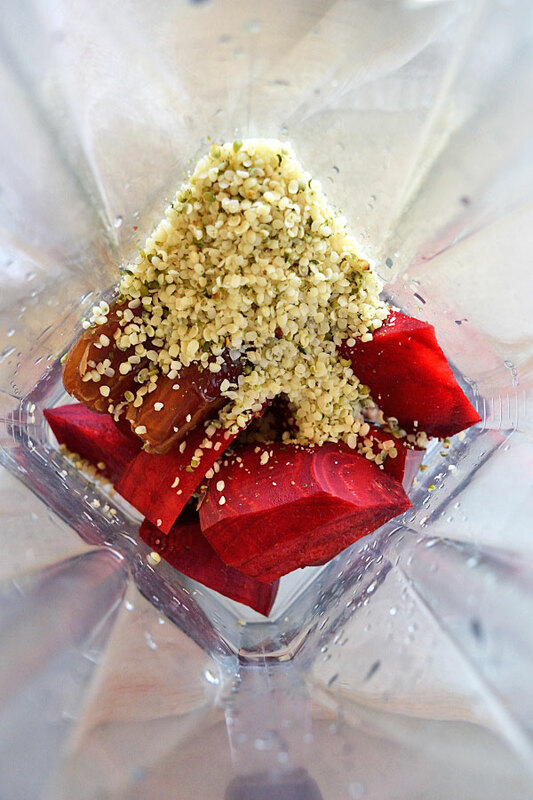 Play around with the ratios of beet and hemp seeds to water. Stream in water as you blend until you reach desired consistency. 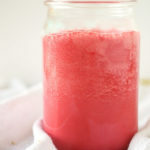 The less water used with result in more of a beet hemp cream rather than a beet hemp milk, which is delicious served almost as a whipped cream on desserts, porridge, or soups. If you’re unsure about the whole beet thing, start with half the amount and taste. Blend in little by little until you reach the perfect beet flavor for you! A quick and nutrient-dense plant milk boasting the creamy and nutty hemp seed, and earthy and sweet beet. Full of protein, nutrients, fiber, and flavor! Serve as is or use to make some delicious (and pretty!) chia pudding or porridge! Place all ingredients in a high-speed blender. Blend on high until smooth, adding water as needed to desired thickness. Taste. Do you want it sweeter? Is the consistency how you like it? Blend in another date and additional water if you want it thinner. Pour in a jar and chill if desired, drink as, or use as part of another recipe such as pouring over porridge. The hempseeds can be substituted with raw cashews (or any other nut or seed) if desired. However, the cashews will allow for a creamy milk without the need for a nut milk bag. Soak the cashews for about 2 hours prior to blending to ensure a creamy milk. 😉 I think so too! Love beets.